2018 has been a pretty big year for Arsenal all things considered. Arsene Wenger's departure was a long time coming but it still sort of felt like it may never happen. But over the summer of 2018, after 22 years with the club, Wenger cleared out his office and made way for a new man. In the second half of the year, in the infancy of his reign, Unai Emery has already overseen a lot of change - and for the most part it's been good. So, despite the club undergoing a period of massive transition, there has still been plenty to smile about throughout the year for the Gunners. Here are six of Arsenal's best moments in 2018. Where else better to begin, than at the end of one era and at the start of another. On a sunny Sunday afternoon, at the stadium which he helped bring into existence, Arsene Wenger took charge of his final ever home game with the club he loved so much. Arsenal fans filled the Emirates Stadium adorned with 'Merci Arsene' banners and shirts to show support and love to the man who had perhaps not felt such strong affection towards then end of his tenure at the club, giving him the farewell he truly deserved. 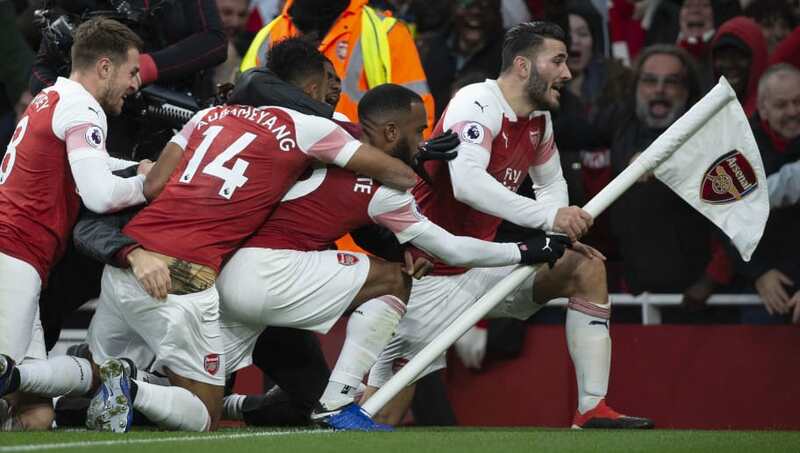 The football flowed, the atmosphere hummed with affectionate chants, and Arsenal put five past Burnley allowing Wenger to claim one last empathic home win. But, for the first time in his career, it wasn't really about the result - it was about the occasion. 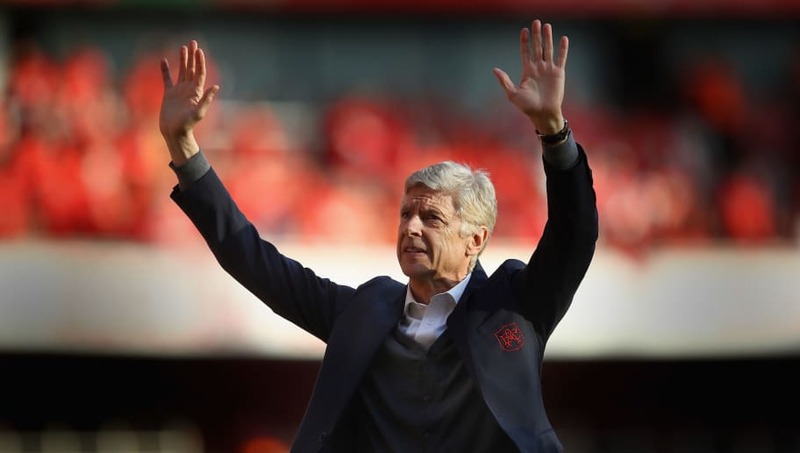 At the end of the match, Wenger to took the pitch to give a humble speech thanking the players, the staff, and the fans for all their support over the years. It had been a difficult season but the goodbye felt like a beautiful moment of release for the man, the fans, and the club. Arsenal's greatest ever manager summed it up characteristically eloquently with one simple sentence: "I will miss you." And so far, for the most part, his plan has worked. Emery has got results on and off their field, with the team seeming to find its backbone at last. But, most importantly, Emery has brought change to a club which had started to stagnate. His charisma and energy has breathed life into both players and fans alike. Emery has given Arsenal fans something something fresh to get behind. It's early days yet but things have gone well for Emery in 2018. And even if it's not perfect just yet, it is something new. What a belter of a game this was for Arsenal fans. What a cracking game for everyone (apart from the Tottenham faithful of course). It had everything a north London derby ought to have. There were fights, there were cards, and most importantly there were goals... glorious goals. Despite starting well, the Gunners found themselves 2-1 down going in at half time following that Eric Dier celebration and a Harry Kane penalty. But as usual, Emery's halftime talk did the trick. 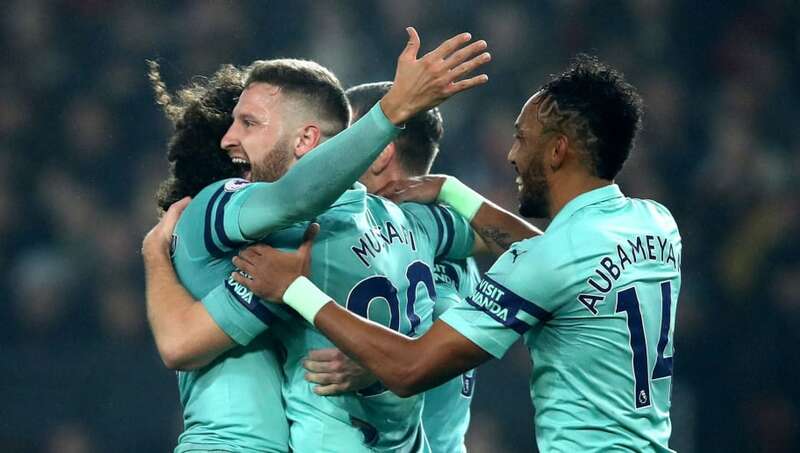 Arsenal came out firing on all cylinders to reclaim the lead in some style with goals from Pierre-Emerick Aubameyang and Alexandre Lacazette. 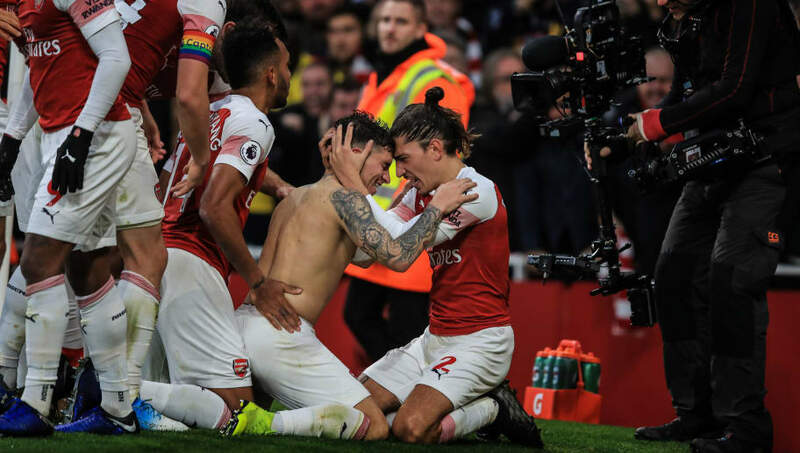 The atmosphere, energy and value of the game was encapsulated when - man of the match, playing in his first NLD - Lucas Torreira came up with his first goal for the club, Arsenal's fourth on the day, to finish off any chance of a Spurs comeback. The Uruguayan ripped his shirt off in a passionate display of raw emotion which was met with just as much enthusiasm from the home support. The Emirates buzzed with more intensity than it had perhaps ever seen before. What a game. Arsene Wenger's time at Arsenal is perhaps most noticeable for one feat. The 'Invincibles' season, that 49-game unbeaten streak. 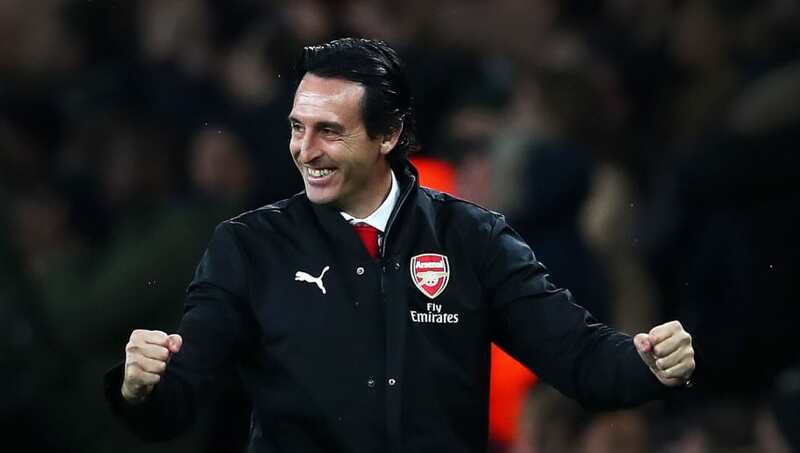 Well, it was a pretty good way for Emery to get fans on board with his project by settling into his own undefeated run in the early stages of his tenure. Following two defeats from his opening two games in charge - albeit against Manchester City and Chelsea - the early signs were a tad worrying as the club took it's timid first post-Wenger steps. The ship, however, was steadied with a home win against West Ham, and suddenly Arsenal were off. They went on undefeated in the league, the Carabao Cup, and in Europe from the 25th of August until the 16th of December. Following an impressive 5-0 away win over Fulham, the travelling fans began to sing a new chant - one that had not been heard before: 'We've got our Arsenal back'. It may be a little premature to say the club are back to their best, but the chant does suggest that for the first time in a while the fans, players, manager, and club are connected once more. Singing Aubameyang was one of the first notable things that Arsenal did in 2018. 31 days into the new year, the Gunners made the Gabonese forward the club's record signing at £56m. 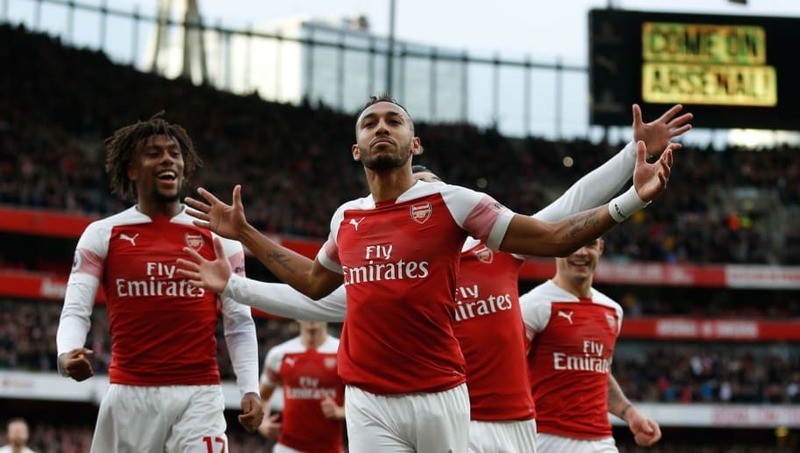 It didn't take long for the striker to start showing off his worth - an elegant chip in his debut against Everton gave Arsenal a glimpse of what was to come from the former BVB man. Auba has not disappointed. The 29-year-old ended his first season with ten goals and four assists in thirteen Premier League games to his name. He was also a fitting player to grab the final ever goal scored in the Wenger era: a mercurial talent, not unlike Thierry Henry, ready to fire the team into a new era. Now in his first full season with the club, Aubameyang has continued his excellent goal-scoring form. He was the first Premiership player to reach ten league goals for the season and looks more than capable of claiming the competition's Golden Boot award. This game was dull. Seriously, not worth watching for the most part. You've seen the sort before: Arsenal dominated possession without creating much whilst the plucky opposition - Huddersfield on this occasion - hustled about the place, working tirelessly to keep the Gunners' attacking talents nullified. The only player in red who was really doing his job was Lucas Torreira who matched Huddersfield's dogged work-rate and stuck to his day's task diligently. Well I say diligently, but only up to a point. In the 83rd minute the diminutive midfielder decided he'd had enough of watching his teammates try and fail to make a breakthrough and finally broke through the ranks. The Uruguayan pushed forward into the box and when Aubameyang lobbed the ball back across goal he was on hand to score what can be best described as one of the greatest tap-ins of all time. Perhaps a bigger man would have stooped to nod the ball home, but standing at just 5'4" Torreira had to adapt. So he did, by executing a glorious bicycle-kick to slam the ball home and give Arsenal the win. 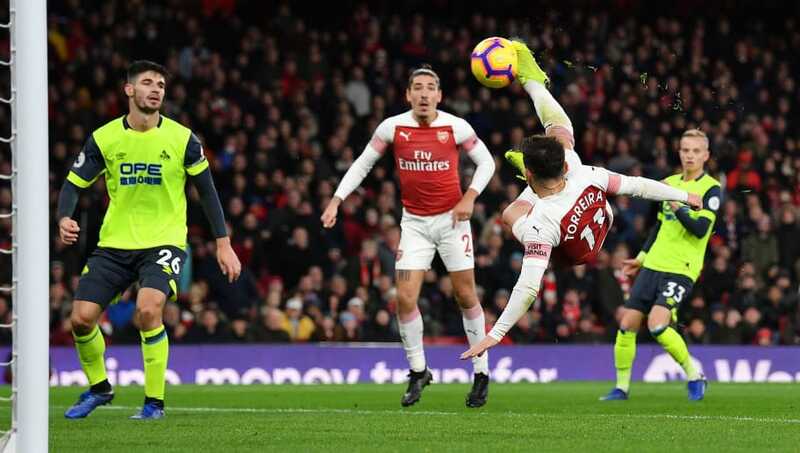 Torreira has brought a mixture of quality and real fighting spirit to the club in 2018 - but the goal against Huddersfield was something extra.